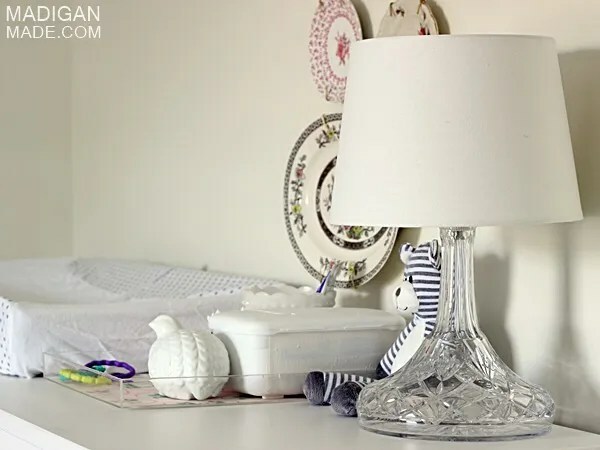 MAKE: a sparkling crystal lamp for the nursery. It’s funny how our tastes can slowly change over time. 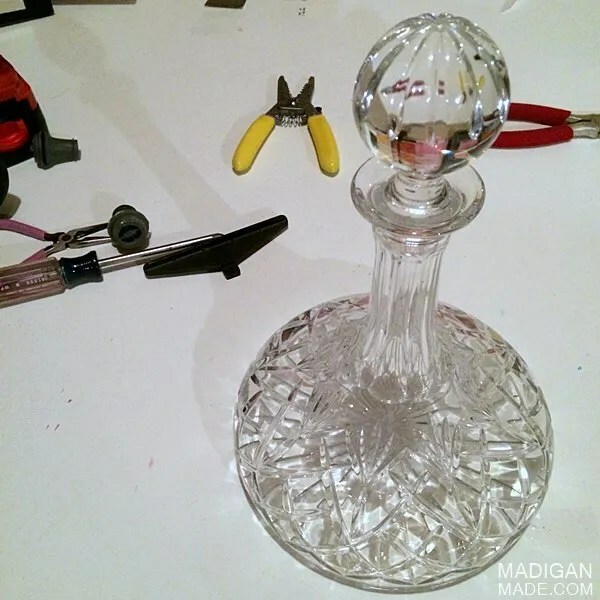 A few years ago, (when I told you about this painted glass vase and these wedding shower centerpieces), I told you that I was not a big fan of cut crystal pieces. The pattern on the cut glassware was sometimes too busy for my simple tastes. 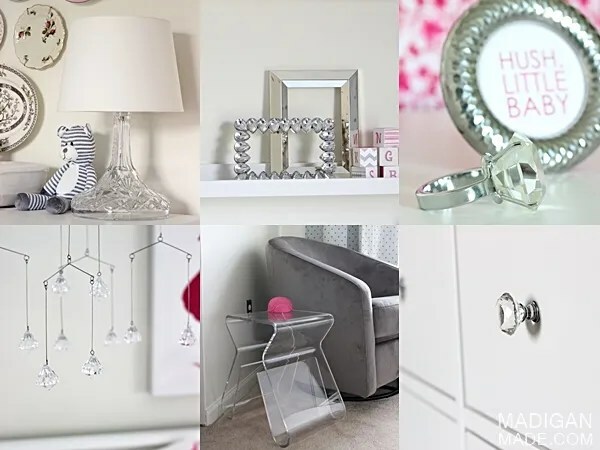 Well, I find that lately I’m a bit drawn to crystal… especially since I’ve been working on our baby girl’s nursery. Maybe my tastes have changed or perhaps it is all about context? Either way, the clear accent works perfectly in the nursery space to add a little sparkle to the room. Crystal is timeless, fun to look at (it is a prism of sorts), and pretty… all things I wanted for the space. My husband and I have had this beautiful crystal decanter for many years. It was given to us by my husband’s brother and sister-in-law for an engagement gift. The bottle was a heavy piece and very pretty. It has sat in our barware storage in the basement since we got married 8 years ago (we are not big liqueur drinkers). 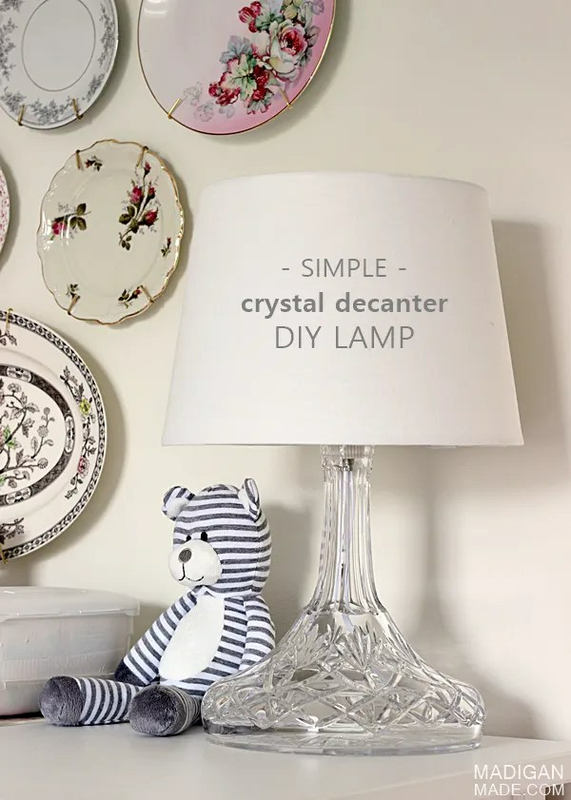 When I started to work on the little one’s room and decided to add crystal touches, I immediately thought about turning this piece into a lamp for our babe’s dresser. 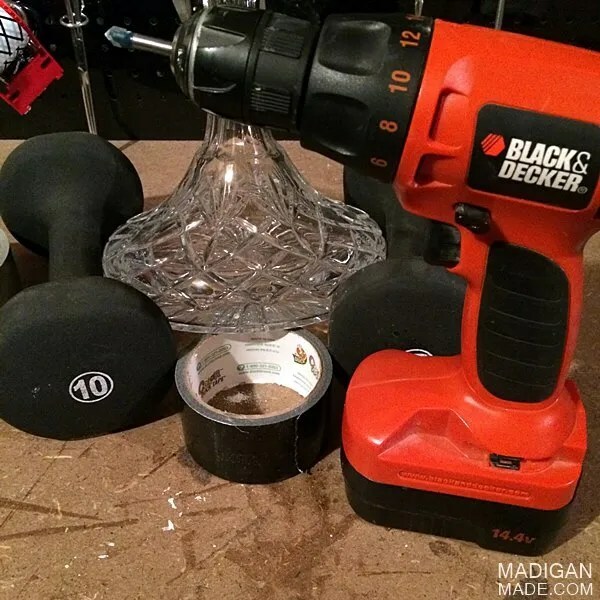 To create this DIY lamp, I basically followed the same steps I shared with you when I made my other DIY lamp from a bottle. The most challenging (and nerve-wracking) part of the process was drilling the hole in the bottom of the container for the electrical cord to thread through. 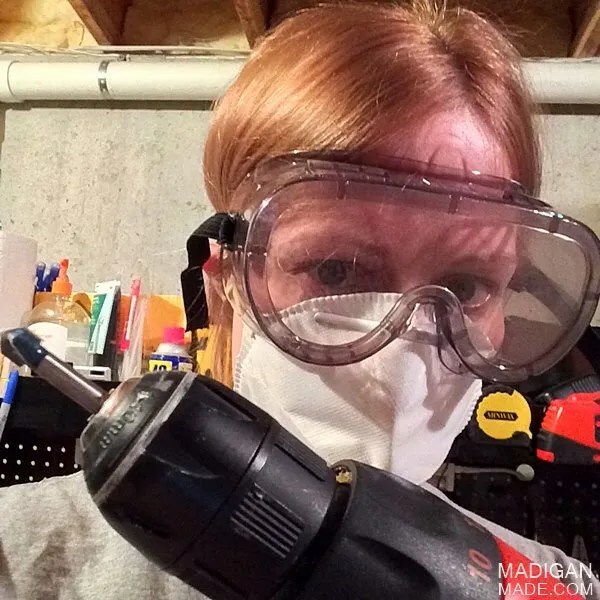 I wore safety gear to ensure none of the glass dust got in my eyes or nose. Then I used a carbide drill tip and drilled the hole very, very, very slowly to avoid cracking the glass. I also kept a wet rag nearby to help cool the drill tip and hole periodically. Please check out my DIY lamp bottle tutorial for more tips and a supply list if you were interested in making your own lamp this way. It is not hard, just time consuming and it requires the right products. I love this little lamp. With the wider base, it is quite sturdy. Instead of sitting in storage, we can look at the beautiful piece every day! When the light hits it, the base shines and sparkle! Down the road as our little munchkin grows and starts to get mobile, we may rethink having a breakable glass lamp in her room. Right now, it adds that little bit sparkle I was hoping for. Next week I hope to tell you more about this dresser area and show you the whole nursery… stay tuned!